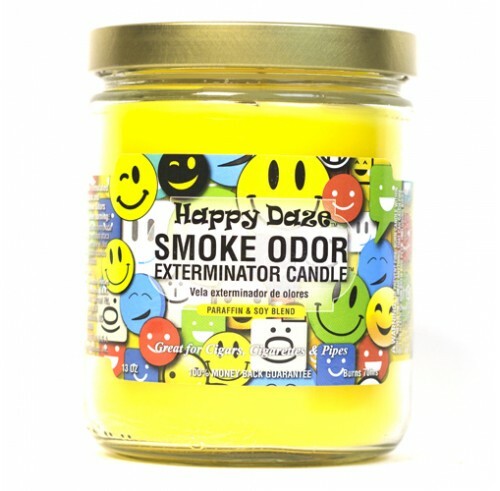 This Smoke Odor Happy Days Candle has a happy citrus scent. Smoke Odor Exterminator Happy Daze Candles are great for cigars, cigarettes, and pipes. Enzyme formulated candle, attacks and removes smoke odors when burning. Each candle weighs 13 oz. and will burn for approximately 70 hours.These fragrant candles make wonderful gifts even for non-smokers! Smoke Odor candles are made in the USA!